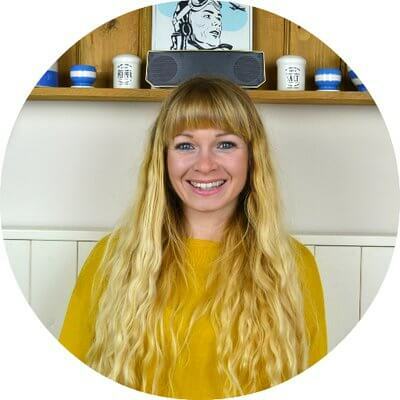 Today I’m interviewing Helen Rankin, the founder of *Cheeky Wipes. 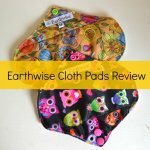 The company designs, markets and sells the world’s first natural, cloth baby wipes “all-in-one” system for both cloth and disposable nappy users. Before we begin please can you tell us a little bit about yourself and your family? I’m Helen, Founder of Cheeky Wipes and Mum to Archie, 14, Felix, 11, Jennie, 10 & Aerin, 8. 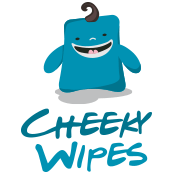 I launched Cheeky Wipes 10 years ago in October 2007, when I was 37 weeks pregnant with Jennie. 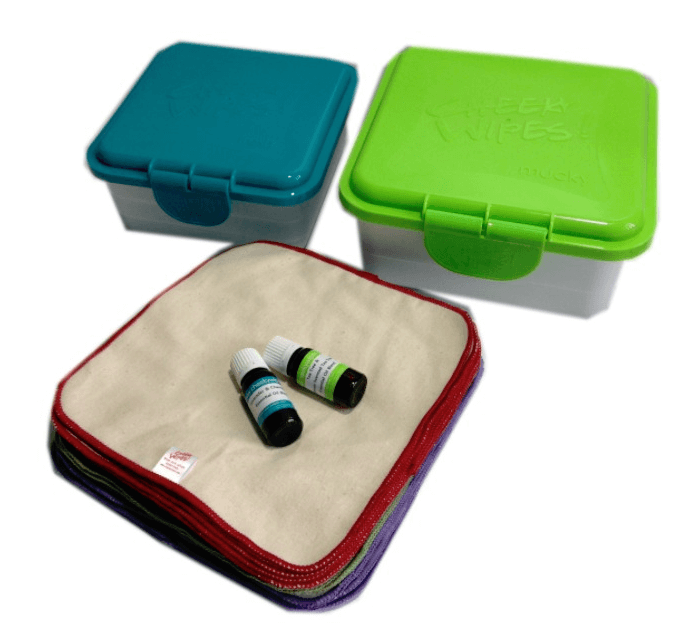 The reason I created Cheeky Wipes in the first place is that I suffer from eczema and when my eldest son was born, my eczema was really bad on my hands, and any disposable wipes I tried really hurt my hands. The wipes started as just baby wipes initially but we found that people were interested in using them as toilet paper alternatives. After some hesitation, I tried it myself and lo, our toilet paper alternative kit was born. 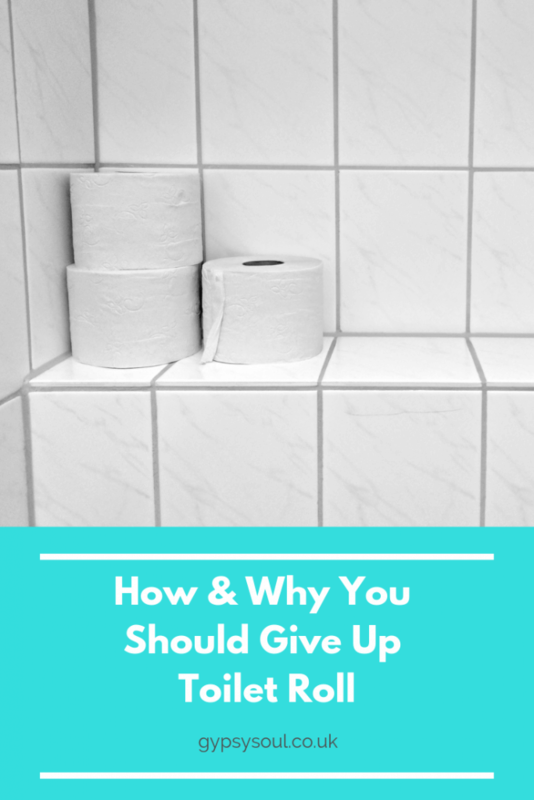 How Did You Get Started with Going Toilet Paper Free? 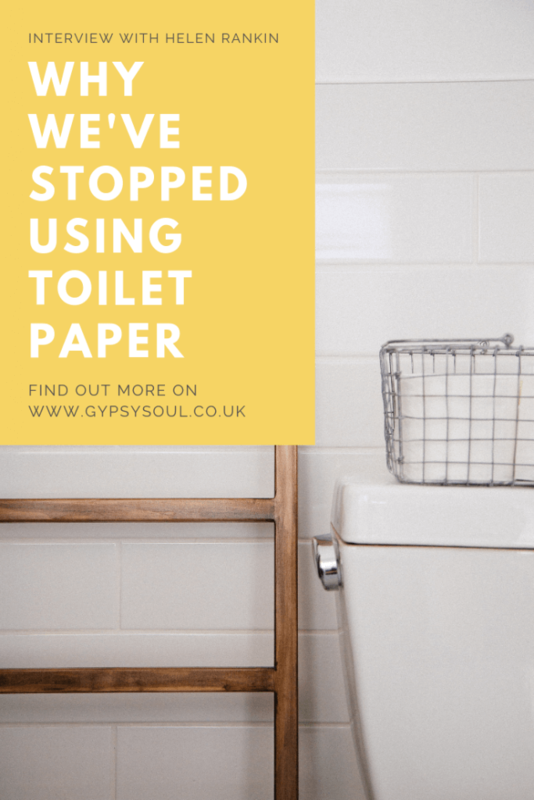 The idea had been introduced to me at a Baby Show by a customer who didn’t want them for herself but had been thinking of going ‘toilet paper free’. I was intrigued by the idea and thought it over for a while, before, quite randomly one Friday night, just starting to use my wipes as bum wipes for all the family. I haven’t looked back! Where Do You Store Them After Use but Before Washing? I started out storing mine in a Cheeky Wipes Mucky Box, but with 4 kids it was getting full too quickly, so we now store them in a nappy bin which works fine for us. 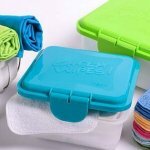 Do the Wipes Smell When Being Stored? No, not at all. 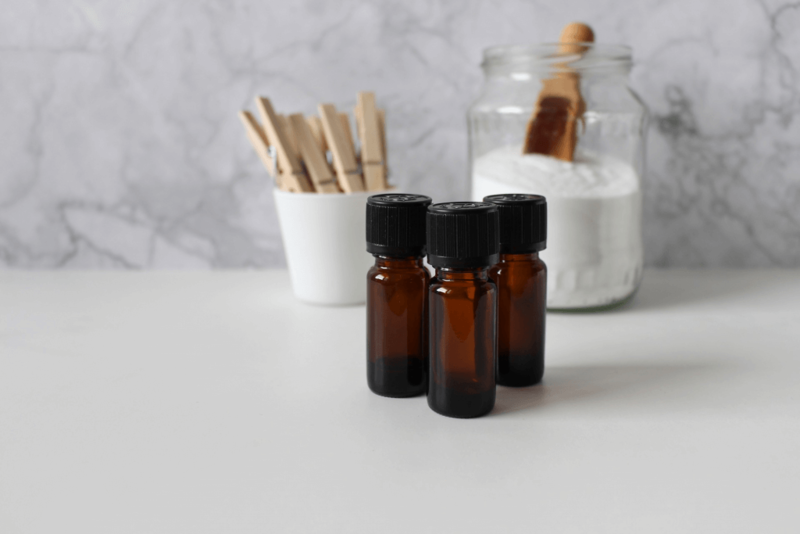 The tea tree oil helps mask any smell. How Do You Clean the Wipes? I wash them in the longest cotton wash that my machine does. It’s a Samsung ecobubble though which weighs the weight of laundry, so it’s never much more than a 90 minute wash, even if I throw in some towels. I also use a bio washing liquid because in all honesty I did try the more eco options and they just didn’t work getting my clothes clean. Then my Mum bought some Daz and I realised what washing powder was actually supposed to do! But just use whatever washing method you prefer. Do You Have To Use an Extra Hot Wash? I wash at 40c for environmental purposes, but use a capful of Dettol anti bacterial laundry liquid, so that they come out hygienically clean. Don’t the Wipes Get Stained? Not really. Occasionally there’s the odd which someone has wiped and then folded with and it stays closed in the wash, but I just chuck it in the wash again if that’s the case. How Much Extra Washing Does it Make? The wipes don’t have to be washed separately (although some people are poo squeamish and prefer to wash separately). But I tend to chuck mine in with towels or bedding. If you assume that you get through one pack of wipes (25) which weigh 250g and wash them every other day, as part of a 7kg washload, that actually only adds up to 6 extra loads of washing over a year! Does Each Family Member Have Their Own Wipes? No! I could see that some people might prefer that, but we just chuck them all in together. Keep it simple! Do You Have Separate Wipes for number 1’s and number 2’s? No. Again, I like to keep life simple. 4 kids and a business means I haven’t got time to separate out wipes. 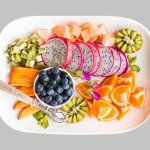 What Do You Do When You Have Guests Over? We have toilet roll, although close friends who are also toilet paper free have been known to use our wipes! Do You Use The Wipes When You’re Out? No. I did when the kids were little and we were using them as baby wipes. Although I keep a stash dry in the car for emergencies! What are the Wipes Made Of? They’re available in a *few different fabrics, but my preference is cotton flannel. 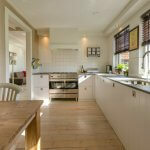 The reason for this is that they are our thinnest and largest wipe, and are also very soft. I’ve tried all of our wipes for bum wiping and these are my favourite. 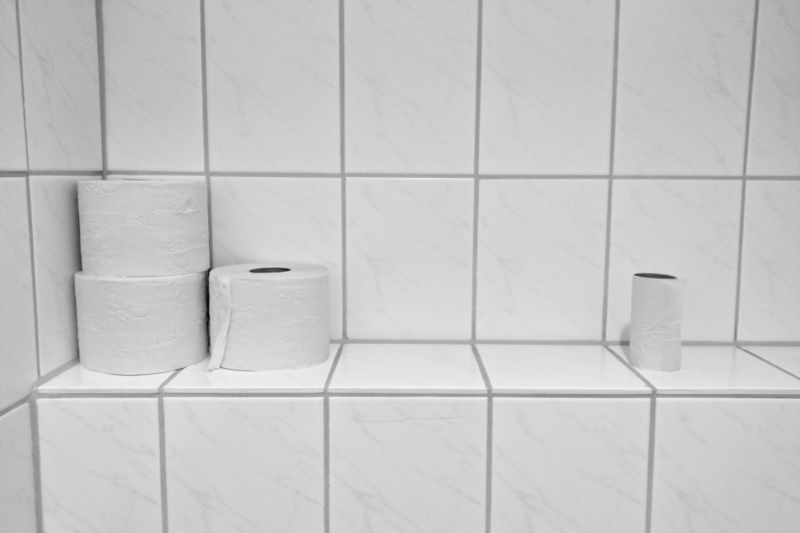 Can You Give Us 3 Reasons Why We Should Consider Making the Switch to going Toilet Paper Free? 1. Obviously it’s more eco-friendly, no mass ongoing production and consumption of toilet paper. No contributing to fatbergs from so called ‘flushable’wipes. 2. They are SO much nicer to use. They leave you feeling fresh and clean and (apologies, TMI) no little bits of toilet paper left behind in your lady bits or hairy man bums. 3. You’ll save money. The kit will pay for itself and can continue to be reused again and again. 4. You’ll never run out of something to wipe your bum with and have to run to the corner shop late at night! Where Can I Buy Reusable Toilet Paper? You can buy reusable toilet paper kits on the *Cheeky Wipes website. 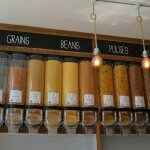 and lastly what is your top tip for anyone wanting to ditch the toilet paper? Just do it. I hesitated and it was one of the best eco swaps I’ve made. Take a look at the full range on the *Cheek Wipes website today! So what about you? Would you consider giving up toilet paper in favour of a more sustainable alternative?